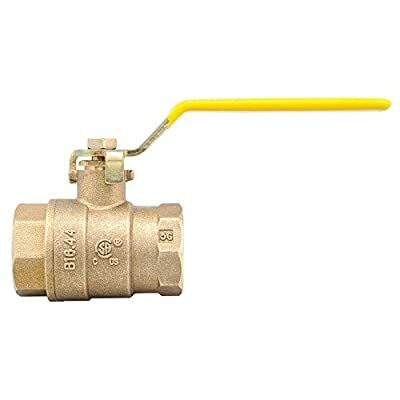 Watts 3/4 LFFBV-4 Rated 600 Psi Wog/150 Psi Wsp Ball Valve, 3/4"
Product prices and availability are accurate as of 2019-04-11 23:52:41 EDT and are subject to change. Any price and availability information displayed on http://www.amazon.com/ at the time of purchase will apply to the purchase of this product. Watts 3/4-inch lead-free 2-piece full port brass ball valve is suitable for a full range of liquids and gases in residential and commercial applications. These ball valves features an adjustable packing for longer service life, a bottom loaded blow-out proof stem for safety, a fluorocarbon elastomer stem o-ring to prevent stem leaking at installation, and are rated to 600 psi wog and 150 psi wsp.